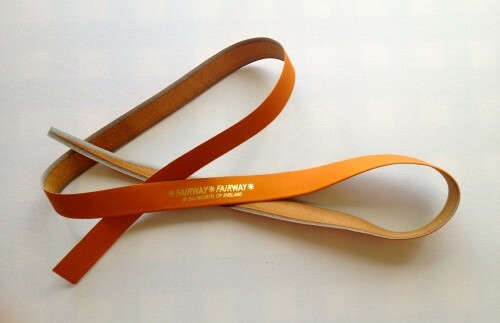 I just received a shipment of Fairway grips! These are new Fairway grips, not old ones that have just been discovered. Fairway grips are expensive! They are, however, the finest leather grips in the world! If you have ever wanted a Fairway grip, and who hasn’t, now is your opportunity! Posted on December 23, 2013, in Good News!, Grips and tagged Fairway Grip, leather grips. Bookmark the permalink. Comments Off on Fairway Grip.